Music has always had a great foothold in our National pastime and been a great instrument to excite, motivate to and inspire fans attending games. Players from the minors to the major league level use music as small glances into their personalities as each bar of music you hear as they stroll to the mound or batter’s box has a special meaning to them or emotional trigger. Music blares from every speaker in our MLB cathedrals between innings or stoppage in player to keep us entranced and involved in the game. Every single clubhouse around the MLB boasts its own unique of pre and post-game ritual or celebratory sound bites that seem to be heard non-stop in the background of Clubhouse interview videos helping to soothe and let the players wind down from that day’s game. Be it an in-house team-appointed DJ who is in charge of the music tastes, or even a simple I-pod/I-phone set-up with a docking unit, music is as much a part of the game as rosin and pine tar. Those beats and measures mean so much to the game that a simple verse or beat and rhythm can blend perfectly within game time moments within the game and act somewhat like a pulse or heartbeat of the contest. As we get closer to the day again our teams head to warmer climates and begin their initiation into another baseball season, it only seems perfectly aligned that music, charity and possibly a few awkward notes for a great cause help usher in the upcoming spring sprint towards another season. “Strike A Chord” is an great event headlined by current Tampa Bay Rays and former Cub fan favorite and outfielder David DeJesus and his wife Kim that will combine the smooth transition of music along with charity and hit the high notes of having some of the current and past friends and family of the Cubs sing their hearts away for a variety of causes and charities supported by the DeJesus Family Foundation and the Cubs Charities. 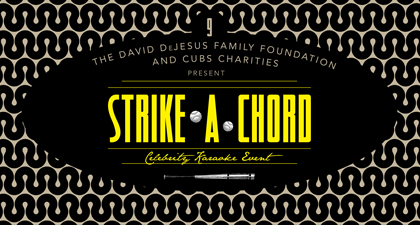 Who wouldn’t want to see DeJesus and many of the players who have graced the chalk lines of Wrigley belt out a few tunes, have a few laughs and show their love for not only music, but the charities within their community. It is great to me to see a player who now plays in another baseball haven not only return, but show such devotion for his former “home” that resonates so beautifully as this event with untold great moments to play out upon the stage not matter if they be a solo, group or possible audience participation sing-along with the exhilarating crescendo of everyone no matter their singing experience meet in perfect harmony. The only thing that stinks at least for us here in Tampa Bay is the blunt fact the event will be held too many miles away from the fun and Sun (and warmth) of the West Coast of Florida. 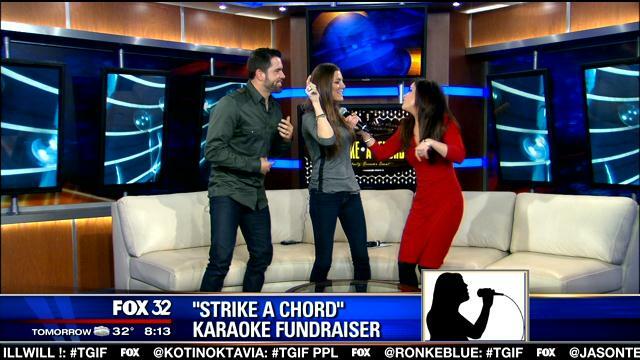 That’s right, this Thursday evening at American Junkie located at 15 West Illinois Street in Chicago, Illinois, DeJesus and his wife Kim will host a grand night of singing and instant memories when they hold their fantastic Celebrity Karaoke Event with current and past members of the Cubs ever-expanding team family. Current and former Cubs Players like Anthony Rizzo, Edwin Jackson, Nate Schierholtz, Travis Wood,Darwin Barney, Donnie Murphy and Ryan Sweeney have already stepped up to the plate for the event this Thursday evening. Who knows what other celebrity surprises will greet fans and participants that night….? Sounds like the perfect event, and I’m jealous of my friends in the Windy City right now as they can witness this event while I’m seated here at my laptop in St. Petersburg, Florida. Who knows, maybe the Rays Baseball Foundation (nudge, nudge) can take a musical cue from the Chicago event and possibly get DeJesus and his wife to co-host another possibly a Southern version of the event some time during the 2014 season, or maybe during baseball’s short vacation time next winter. I mean I know personally Karaoke has been a bar and entertainment option in the Tampa Bay region since the mid-80’s and where else can you truly “rock it like a hurricane”. But one suggestion…..next time David and Kim and you are on video signing (on WGN-Chicago with Hoover), please do not play that song by one of our AL East foes that makes my ears bleed (Sweet Caroline)……Besides that, still love ya David. figures and calculations can drive a normal person insane. choice in the line-up to test our tolerance….or ignorance. insane, or crafty like a fox. and what is truly fictional anymore about Maddon’s line-up choices. And that is sad for me. level without physically jamming it down their throats. as a pinch-hitter late in a game. questions…slightly insane or crafty like a fox. we are just worried about you. or baffling, less than three hours to go to fully divulge the answer. with any hint of clarity. describe the performance of his line-up as we exit Tropicana Field. tendencies right and the dome will be lit up in an orange hue. 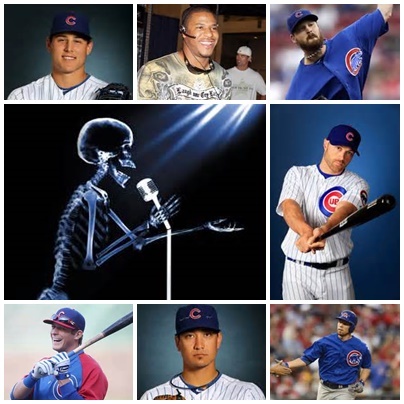 Just heard a tidbit that Maddon is battling a cold…..Could cold medicine have been the true culprit in deciding today’s line-up? Can’t wait for the post game conversation now……. You want to hate that it happened again to the Tampa Bay Rays. For the second time this season another team not only shut the door hard on them, but left a few toes stubbed and bruised in the process. There were many honest scoring chances to change the final outcome, and even postpone an impromptu Arizona Diamondback Team meeting on the field with Edwin Jackson as the keynote speaker. The chips, dip and the alley-oops did not get instituted into the usual “Rays Way” of evoking late inning theatrics to the thunderous climax, but instead the Rays ended up with a solid and deafening thud heard throughout Tropicana Field. With the band Tantric set to hit the stage after crushing loss, you hope the band did not start their hour long set with the song “Down and Out“, because right now, how much lower can you go, or feel at this moment if you are in Rays gear. It was one of those nights of mixed emotions and for all intentional purposes, it is am immediate game to forget and discard without review or even thought. Could the Rays be having their one month of trials and tribulation now, nearing the middle way point in the season. Or could this just be the storm before the clear skies and easy sailing for the Rays? This one just leaves you a bit dazed and confused. You are glad to see an ex-Ray and a great person like Edwin Jackson finally get some props for the job he has done to learn the art of pitching,. That even after tying a Rays club record with 14 wins in 2008, he was jettisoned off to the Motor City for Matt Joyce (who went 0-4 tonight), but his 149 pitch eventual No-Hitter against his former team mates will probably never happen again …..Ever! How wild is it now to imagine that even after Jackson settled into the Tiger’s locker room and posted 13 wins in 214 innings, plus represented Mo-Town in the All-Star Game, it would net him a plane ticket to hot and steamy Arizona, and not just for Spring Training. I have a feeling that even in the musty and crusty high humidity of Tampa Bay tonight, Jackson is just chilling, enjoying the flow, and reliving that magical moment in his mind over and over again with that wide smile of his on his face. This is the kind of night that defines a player. But even as Jackson has been on shaky ground ever since he left Tampa Bay, how many people really thought of how far this former positional player would escalate upwards in his career. How many people remember a Rays pitcher who was smiling on the mound even as he went 5-15 in 31 starts in 2007 before he snapped into pitching mode and rattled off 27 wins for the Rays over his next two seasons with the team. Some still say we sold out short on Jackson, before he truly hit his prime. But others saw a chance for decline in Jackson’s control and might have misplayed his calm demeanor for complacency, not a hidden gem of confidence and reviving ability. But you truly had to admire the effort tonight. Jackson gave the Rays more than enough rope to tighten the noose around his neck, but the bats went deadly silent at the wrong moments. The Rays mantra of “Get The Man In” fell on deaf ears and misaligned swings. Jackson stood on the pitching mound more than once tonight and saw a bevy of Rays players pushing off on the surrounding bases. But the Rays failed to deliver, even remotely, to deliver that crushing blow. And in turn, Jackson just kept plugging away, getting his outs and simply going about his business hoping to go as deep as possible in this game. But realistically, if Jackson was still a Rays pitcher, he would have never been allowed to hit that 149 pitch plateau that made him part of Major League Baseball history tonight. If he was still wearing a Rays uniform, even with the intense effort, it would have fell on the Bullpen to secure this win. But the Baseball gods were surely smiling along with Jackson tonight as he dodged several Rays attempts to rattle his cages after he hit his close friend B J Upton in the bottom of the sixth inning, then saw D-back teammate Stephen Drew bobble an easy out from his second base position for a sure error and give Carlos Pena and the Rays a chance. But his defining moment tonight was not in the bottom of the first inning after Jackson walked Ben Zobrist, who advanced to third base after a wild pitch, but was stranded on base. Nor was it a cause for alarm in the bottom of the third inning when Jackson loaded the bases with Rays uniforms on three straight walks, then proceeded to get three straight Rays hitters to produce easy out opportunities and get out of the inning without a scratch. It was after that Drew error gave the Rays a fighting chance and Maddon inserted speedster Carl Crawford into the game as a pinch-runner. After a quick Joyce fly ball to Rightfield, Crawford was gunned down after a 93+ mph fastball was delivered to D-Backs catcher Miguel Montero who threw a perfect high strike to Drew to erase the scoring chance, and end the inning for Jackson. Jackson’s effort might not have been as squeaky clean and tidy as Oakland A’s hurler Dallas Braden’s earlier season dismantling of the Rays hitters, but he got the same kind of result. But a finite defining moment in this game was the attitude and the on-the-field adjustments by Jackson to keep himself into contention all during this game. In his past, Jackson had gotten into jams by his own hand and could not convert and close the door on the opposition. Tonight Jackson not only closed the door, but he might have bruised a few protruding toes in the process. So Rays fans, I think it is wise tonight to take Rays Manager Joe Maddon’s clubhouse philosophy of taking 30-minute to dwell, ache and let the pain seep out, then discard it like a used tissue and move onto the next game. Lady Luck flirted with both teams tonight, but she took a special liking to Jackson, and he was handsomely rewarded with a lifetime memory. For the Rays, it is back to basics and the sooner they forget this night the better. But I know when I see Jackson as he wanders over the Rightfield tomorrow, the prior evening hurt and pain will be relived for a few moments, but when he flashes that huge smile, I will be glad a former Rays baseball buddy got the gift of a lifetime. Over the past couple of Tampa Bay Rays seasons that Rays Season Ticket holders have seen some of their past ” advantages” going by the wayside. We used to get one of every promotional item, plus had an end-of-the-season Team Photo Day with the Rays players to get memorable photos to put on our face book pages or computer screensavers. We were a bit spoiled at times and got used to getting the “star” treatment from the Season Ticket Sales Department at every turn. But in the last several years the goodies have gotten pushed into bag “A” or Bag “B”, with limited promotional items, plus the omission of most of the kid’s items tend to make a few of my nephews and distant cousins sad that they could not get special Rays toys for their Christmas stockings. But with the recent closure of a Centro Ybor institution, another Rays budding tradition is left by the wayside…never to happen again. When the Gameworks family-friendly arcade closed their doors after spending 10 years upon the landscape of the small cultural center of Ybor City. So I want to take today’s blog posting to remember some of the events and times I remember at the Centro Ybor landmark that I will miss more for the faint echoes of young Rays fans and their familes taking a night out with Rays teammates and celebrating as a true Rays Republic. I can still remember attending a long ago Rays Christmas party for local youth from the Boys and Girls Club at Gameworks where ex-Rays Toby Hall and Seth McClung spent most of the afternoon playing carnival type games and race simulation events with the kids laughing, smiling and giggling at the big players trying to keep up with them both on the screen and running around the arcade area. With presents and food and games galore, I do not think anyone, including the Rays players went home without an ear-to-ear smile on their faces. But the scene that still stays deep within my mind is not the photo of me helping myself to the yellow chocolate sauce fountain, but of Rays outfielder Jonny Gomes holding court at the end of the bar just to the left as you entered the arcade. Gomes was in hid element that night, shaking hands and hugging friends, plus raising a toast or two to the Rays success. And hidden just a few feet behind Gomes was Maddon who was sitting there with several fans discussing all kinds of things besides baseball and seeming to really enjoy himself. But the best part was seeing Rays players like Scott Kazmir playing an NBA video game with a younger Rays fans and getting his booty kicked, but loving every minute of it. And the 2009 event was a standing room only affair with almost double the crowd, and double the fun as most of the Rays players from that day came out including every member of the Rays rotation. From Matt Garza trying to be slick and getting beaten time after time on the Dance, Dance Revolution machine, to Grant Balfour’s fiancee’ kicking all comers’ brains-in on the Dance, Dance Revolution machine, including reliever Randy Choate. It was a great time where fans and players got to mingle and bring some of that special chemistry that Rays have with their fans. And maybe it is true that all good things come to an end sometimes, and that you got to truly treasure your moments within the game of baseball for the future telling of great tales and adventures. And you can bet Gomes, Kazmir and Jackson have taken these memories of Gameworks with them as they left for other Major League Baseball venues, and hoped that their new teams would also embark on these same types of great inter-mingling player/fan activities. It is a time I that is near and dear to my heart, because as an ex-football player, I always cherished these special times with the team’s fans to not only take photos and talk about other things outside of baseball, but to show the “human” side of ourselves to those same fans. Sometimes the lines get muddled between the green outer wall of the Trop and fans and player develop misconceptions on themselves and their interaction with the fans. But this Rays team is certainly one of the most open and fan-friendly teams I have ever seen around baseball. They respect the way the fans support and try and use noise either by cowbells or their voices to show audible support for the team. And the many home-made or professionally-made signs by Rays fans show they have their players back. Some say that the Gameworks staff could not update and bring new technologies and gaming machines into the establishment fast enough with the recent gaming explosion brought on my X-Box, PS-3 and Wii systems. That the gaming community could play just as sophisticated games at home and did not need to venture out into the video arcades anymore for their gaming fix. But with the locked doors at the Gameworks location came the end of another Rays era. Who can forget the Rays mascot Raymond sitting in a race car simulator racing against younger fans, or seeing Rays outfielder Gabe Kapler with his two boys enjoying the multiple games and interacting with young Rays fans . Something you wish could stay the same forever. Something you just do not want to see change, but that is life. And you can bet the Rays Sales staff is eagerly trying to piece together another great event in the not-to-distant future where the Rays and their fans can also cheer, laugh and enjoy each other away from the field of play. BTW, This is my 750th MLBlogs.com posting. Can you tell I really do love writing (lol). 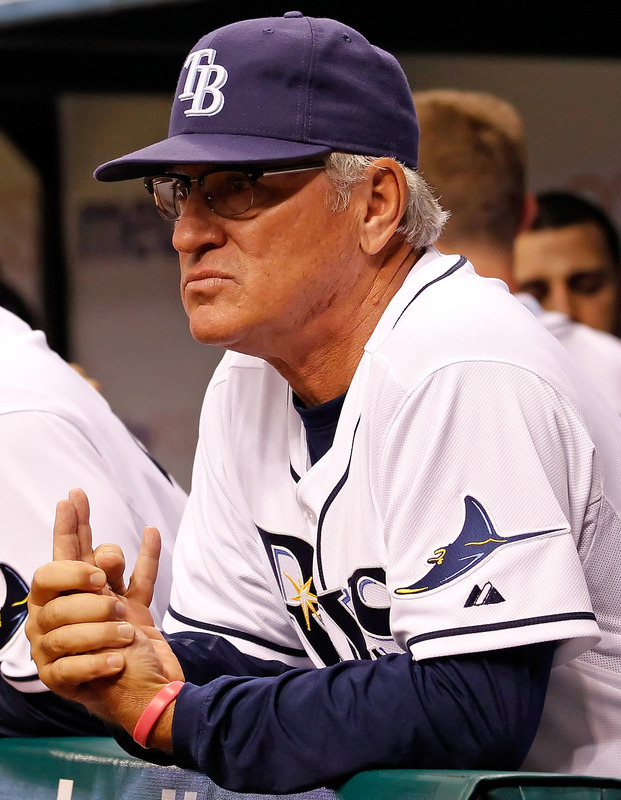 Rays Show Confidence in Pitching Coach Jim Hickey……….Really? Sometimes I truly think that the Rays Front Office loves to use subliminal and subversive messages to gather information on the public perception of an event or something that makes them go…..hmmmmmmm? But I have to admit, this one move, this 180 degree change of heart that shows something towards Rays Pitching coach Jim Hickey keeps him here for another Rays season. And for the life of me, I do not see a solid reason while he is still employed by the Rays. And you know the local kool-ade drinking media will not voice their dismay over this action………..nope, they will remain wihin the party lines. But I do not have Press Credentials, or even an inside information mole to give me things like them. I get my information from watching 80 games a year at the Trop., and every game that MLB.com shows on the air. What could be their logical reasoning to let go of Hitting Coach, Steve Henderson today who’s Rays hitters only set new Team Records in homers, runs scored, RBI and stolen bases this season, but keep a Pitching Coach who’s starters and Bullpen relievers took a definite two steps backwards in 2009. I mean Hickey does have some Houston roots, so he might understand this next scenario without him having to have flash cards or pictures. What has seemed to happen this season to the Rays pitching staff is akin to a guy doing the Texas two-step in a deep foxhole. You can go forward, you can go back, but only two step no matter what. And that is what his Rays staff has done most of the season. they have made slight improvements and altered their course in games, but the end result is always the same……..sometimes the “pitch to contact” system delivers up a long ball instead of a ground out or a double play ball for the defense. And if that system doesn’t work do you blame Vice President of Baseball Operations Andrew Friedman, or Rays Manager Joe Maddon? In reality you can put the check mark next to both names, because Friedman keeps Hickey and Maddon keeps believing in him. But in my mind, the only culprit here is the mechanic who tunes the system and makes it run smooth, clean and with a minimum of problems. And this season, Hickey looked more like an apprentice than a master craftsman. Sure he got dealt a bad deal two years in a row when Troy Percival took his glove and went home to rehab, but at no time in the season did the team try and promote from within or try and isolate anyone to take over that role for the season. Other teams call on the veterans, or even a hot shot prospect with a cannon on his arm. At one point, the Rays signed Jorge Julio to a minor league contract maybe hoping he still has some gasoline in his tank. But the team instead adapted a much discussed and faulty plan of using pitching match-ups as a basis for the later innings. This works well when you base your Spring Training team on to this formula, and not adopt it in the middle of trying to stop a losing month, or keep a string of wins alive. The match-up system has to be nurtured and fcoused on totally, not just based on situational 8th, or 9th innings hitters. And with this team bascially only having three reliever that can be trusted with hitters from both sides of the plate, it makes your options a bit tighter in the games. And who has to be the craftsman behind all of this, well the Pitching Coach. 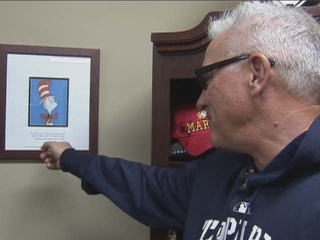 Sure Maddon and Hickey can go over situational devices and plan accordingly, but life doesn’t always go by the book, and Hickey doesn’t always give the same sage advice as Maddon. I actually can not see the correlation between these two at times. Maddon is the always thinking, mind turning a million miles a minute, and Hickey is just, well Hickey. I know Maddon does scribble a few hints and stats on his personal score sheet to check on later in the games, but I really do not see the collective brain trust in Hickey by his side. Sure Hickey does the Rays pitchers Side Sessions and the Bullpen Session with his pitching staff, but I sometimes see more vocal words coming out of Bullpen Catcher Scott Cursi’s mouth than Hickeys in relation to the pitches. I might not see the video work he does with “Chico” Fernandez to get these guys ready for a ballgame, and I do not know his personal preparation routine for game days. But what I do see is a guy who sometimes goes by the book more than his instinct and wisdom. The black statistics on that white printer paper might have a few highlighted marks on it, but i do not see him as a strategist in the least…………sorry. So if a guys starters leave and do better in other locales, can you give credit to a guy that used to be their Pitching Coach, or do you question why they prospered away from the “pitch-to-contact” scheme of Hickey’s gameplan. How can Jason Hammel go from a hot and controled environment like the Trop and have a lower ERA in of all places, Coors Field in 2009. Edwin Jackson was a stud in the making as a pitcher even before he went to Detroit in a trade. I mean the Rays considered him for the closer role before, and with the recent plight of Percival, why did they not consult E J and see if he would take on the task? And you know I am going to bring up Scott Kazmir and his seeking advice outside the organization from the man who was his first Pitching Coach in New York, Rick Peterson. Oh how that must have burned deep inside Hickey that he was not visually equiped to notice a small step adjustment for maximum velocity. I bet if they let him, he would have drove Kazmir to the airport that next morning and kicked him out of the rental car haflway there………..(just kidding, maybe). So if the Rays Bullpen gets rebuilt in Hickey’s mold with the financial restrictions in mind, it might only be a tweaking of the current system. Even if Chad Bradford and Percivals money comes off the books, there might still not be enough to achieve a maximum upgrade, but it can be done. But is Hickey the guy you want to entrust with that job, or is there someone within the Rays system like Xavier Hernandez, who has been fine-tuning the Rays Triple-A guys for several years. I actually have more faith in Hernandez than I do Hickey based on what Hernandez did as the Rays snatched starters from the Bulls throughout the year and he still had the arms to take the Triple-A Championship. Gone by that time was David Price, and Hernandez manipulated the system when injuries to Mitch Talbot and other hit the Bulls staff. But still Hickey will be manning the pitching charts and books for the Rays in 2010. But how long will his luck go before he finally runs out of gas or chances with the Rays? n the Interstate and did not act in all in the manners of the “Rays Way”. But Hickey showed remorse to the Rays Front Office and recieved a year contratc to show he was to change his ways. And considering at that same time the Rays were going through a slew of “problem chld” situations with Delmon Young and Elijah Dukes, they could have just sent him on his merry way and not looked back. I hope that the Rays made thew right decision and that Hickey does make me regret this posting, but I do not think that is going to happen. 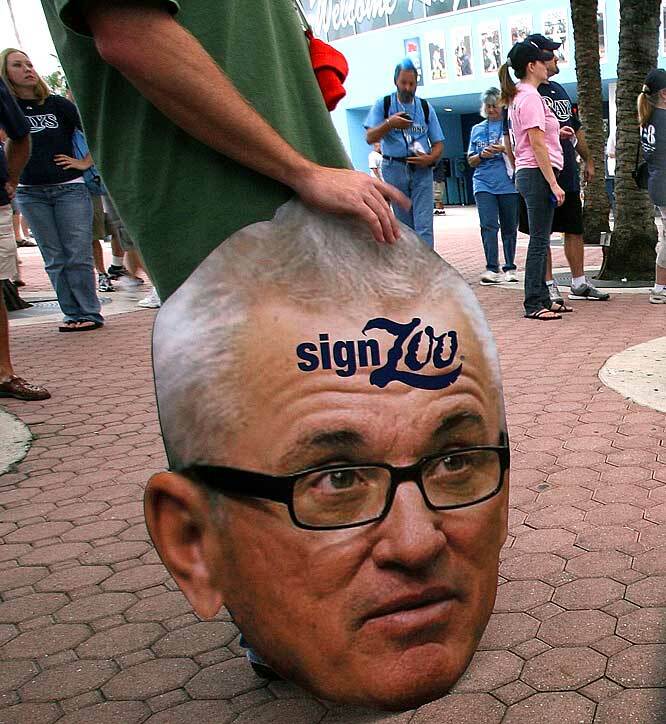 Maddon will not be able to sheild him again if the Rays starters or even the Bullpen falls on hard times. He will be directly in the crosshairs, and I think he knows it now. During the last home stand there was a guy in Section 136 that had a sign that read” All I want for Christmas is a Pitching Coach”. Well, the Rays decided to retain their present Pitching guru, and the hot seat begins right now. Hickey needs to not only get this team to totally believe in his system now, but also the fans so he doesn’t hear the chants and the catcalls before the next All-Star break. Maddon can not protect him now. 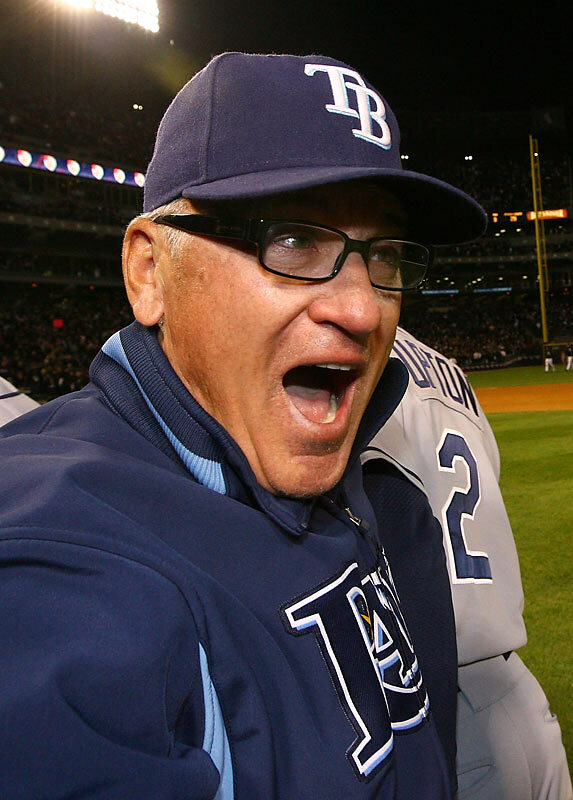 I remember seeing a comment that he called Hickey “one of the best pitching coaches” Maddon has has in his career. Hickey is a bit younger than most of the sage PC in the league, but if his ‘pitch-to-contact” system doesn’t gel right in Tampa Bay in 2010, the contact he will feel is the swift kick in the behind as he leaves the clubhouse door. Because the Rays have seemed to lose a bit of the fight in them the last few days, I decided to revisit my favorite moment from 2008 and try and get some of the “Playoff Fever” rhythm back again in the Rays House. I do not have all the answers, believe me, I want to have the answers to get this team back into that fighting and hungry mode again. There is a different vibe on this team this year, and it doesn’t have the same feel to it. So I am revisiting this moment that is etched deep within me in hope that the team, the fans, and the community can again remember what 2008 really meant to all of us. It is for that reason that I feel I have to revisit my “Top Moment for 2008” one more time. As I said before, we always remember our first time entering the ballpark, checking out the sounds, smells and the atmosphere of this game that excites us from the television screen or in-person . You still think about the first Batting Practice or your first foul ball catch. And how special was getting your first autograph, and didn’t that player become a favorite of yours instantly. And who could ever forget the taste of that first stadium hot dog. I know all of these are still fresh in my mind, and it has been over 40 years since my first game at Al Lang Field watching the St. Petersburg Cardinals. And the bag of peanuts in front of me still taste better at the ballpark. So it is with great pleasure that I re-introduce to the MLB community my number one memory of 2008. The realization of the 2008 playoff finally came to light on September 20, 2008 with 36,048 other “9 = 8” believers in the stands who had spent most of the game jumping up and down like maniacs. It was a time for celebration and rejoicing. It was a time to remember all the things we loved about the 2008 Rays. Not only did the team play a hard fought 7-2 victory over the Minnesota Twins, but the team secured its first EVER playoff berth. And that moment seems have been buried lately because this group of players want to make their own memories, which is fine, but sometimes you have to embrace the past to secure your future. Considering the 2008 Rays squad pushed the envelope from the first Spring Training game and fought long and hard to finally get this team over that “wins hump” that has kept prior teams from achieving this goal. This was a team before 2008 who had NEVER won more than 71 games a year, and for the first time in this franchises history, they fought and sweated daily to keep themselves in the top spot in the American League East. September 20,2008 was a blessed moment of celebration for the fans both inside Tropicana Field or at home, plus it was a perfect moment for the players to salute a great season, and a unique event for both sides to celebrate together. This moment was so personal to me. I got to celebrate with a few baseball buddies both with hugs and fist bumps to swigs of champagne and cheers of excitement as the entire team wandered and cheered around the stadium. I made sure to remind a select few of them that the journey has just began and they made sure I knew that it was us, the fans that drove this bus to the playoffs as much as the players. And I got to drink from the champagne bottles and taste that sweet nectar that went down like cool rainwater and tasted like spun honey. It was one of the biggest moments for me as a fan of the Tampa Bay Rays…………….and hopefully you got to enjoy it too that day……………. It might have looked like a mob scene out of your favorite sports movie, but believe me, the energy in that place on that September afternoon was so severe that it sometimes seemed to choke you from the intensity in the air. From the energy and the explosion of emotion in the stadium atmosphere, this game seemed to have been in the cards even before the Rays stepped on the turf. There was a wild feeling in the air that day. Most of that might have been nervous energy knowing they were within a whisker of franchise first and an event that would explode throughout the Tampa Bay community. Seriously folks, after that celebration in the stands and on the field, I felt so drained emotionally and mentally just a wreck. I was literally crawling out on my hands and knees, but I had a huge Cheshire Cat grin when I finally exited the Trop around 9 P.M. after celebrating in the stands, near the clubhouse with a few friends, and in the Budweiser Brew house having a few brews with the old crew from the last 11 years. This was a night where everyone in Tampa Bay would have a peaceful nights sleep more induced by exhaustion than by excitement. But that was fine, because that night we all dreamed the moment again and again and finally awoke knowing OUR team finally had a date to play in the postseason. This was an entire weekend that will sit up there with the best memories I have involving sports in my life. I have been to a few wild celebrations, like the Baltimore Ravens victory party in Ybor City after they won the Super Bowl in Tampa, or even a late night cocktail party at Reign after the Tampa Bay Lightning won the Stanley Cup with a few ex-Rays players. I was so spent that next morning from sheer excitement and celebration that I did not even feel I was walking on the turf when I arrived at the Trop for the annual Season Ticket holder Picture Day with the players. Well, the ones who are awake at 10 am. and did not have that emotional and physical body and mind hangover from all the celebrations. TWO more times these guys got to pay as much attention to their team partying as they do out with us, the fans. From interview to interview that night, the Rays players to a “T”, talked about the Tampa Bay Rays fans. And to show their respect to those fans, they included all of us in their celebrations. There were wild scenes of players like Akinora Iwamura and Carl Crawford getting up on the dugout and spraying the masses with champagne and beer. Throwing 9=8 playoff hats and T-shirts to outstretched hands, and basking in a moment that will live in this franchises history books and our collective memories forever. The picture above means so much more to me now that all three have moved onto other opportunities away from this Rays team. All three of them had a unique personality that helped this squad in different ways to achieve this goal in 2008. It was also was the first time all three of these old teammates got to celebrate something like this in a Rays uniform. You know they will always remember their first time. You remember where you were, Who you were standing with, and what you were doing at that exact moment. When the guys came running down towards the Bull Pen Cafe area , I was standing on the railing waiting for them. I can not remember how many of those guys came by there and how many times I slapped their hands and gave them a fist bump. But the memories that are really were the energy that produced Hugs from J P Howell, Jonny Gomes, Chad Orvella and Scott Kazmir. I have chatted almost daily with a lot of these guys on their way to the Bullpen, or back in the right field area, and they are some of the best guys you will ever want to meet. But that night on and off the field I got to know and see other sides to these guys that only their teammates get to see daily. And that is a moment that was not lost in my mind. Even today as I remember that September afternoon, the images are still crystal clear and the emotions still swirl within me. It was a time I again want to feel in 2009. It will be another awesome moment for this second generation of Rays. This years squad do not have the “jokers” and some of the big personalities that the 2008 squad had, but they are still the reigning AL Champs. Some of these guys have been transformed by the moment. And success can do that to a player. It gives them a vital self realization that they are winners. Take J P Howell for instance. He used to be one of the quiet guys on this team. When he was a starter, he was a bit moody and never seemed to want to talk with anyone near the field level. But now he has been transformed since he has found his calling in the bullpen He now one of the friendliest people I have ever encountered on the Rays. Dan Wheeler is not known to smile a lot, but he does when we chat back and forth during the games. There is a unique bond there between the Bullpen and the fans here that I have never seen before in my life. But then again, they are living the dream in 2008. From the first champagne bottle out of the clubhouse that day, to the two champagne bottles Bullpen Coach Bobby Ramos had ordered for himself and the close fans down there near the Bullpen, it was a magical night. The parade around the Trop outer perimeter was a show of the love and respect these guys have for the fan base. I have been lucky enough to know a few of these guys off the turf in private. And I have to tell you this in total confidence, not one time this year did any of these guys take this responsibility to the fans or to the community as a job or work. On that September afternoon these guys actually enjoyed interacting with the fans. From the time they walked out at the Spring Training complex in mid-Feb. to now has been a long and rewarding journey. There have been injuries to key members of this pitching staff early in the year, but the team bent like a rubber band and did not break. This season players have come and gone from the roster, but the core of this team has been strong, mentally tough and been an inspiration to the fans. Not many groups have a tie to the fans that these guys have. The Rays community can honestly say the have the team’s back at any moment. The funny thing about that celebration is that about 50 percent of it was outside the locker room on the same field where these guys have toiled and struggled and left themselves bleeding and wounded some nights. To say this battle towards a playoff spot did not end with a fairy tale ending is totally inaccurate. I really need to hit the sack for a few hours before I fall down, but the adrenaline is still pumping hard in me right now and I have tossed and turned for about 5 hours since I got home. I am a emotional wreck right now, but I would do it again in a New York moment. If you have never been to one of these defining moments, you know how the Rays Republic is now feeling. If you have not, I truly wish it upon yourself and your team sometime in the future. It is a roller coaster ride fitted with some great ups and downs that is not even over yet. I just want to repurchase my “E” ticket so I can climb aboard the coaster again and roll through another three of these celebrations with the Rays and this truly spectacular group of guys. I actually now know what other team’s fans have talked about when the y remark about the feelings and the intensity of the moment. I can see why New York Yankee and Boston Red Sox fans yearn and seek thin moment in their lives yearly. But I have to almost admit, I do not want to share it with them anytime soon. So As I finally slink out of the stadium, and check out that bright orange roof, I am reminded of all the glory and the sweat and tears that have blanketed this great dome in the past 10 years. But tonight they all seem like a distant memory as we have a new found tradition of winning and are celebrating the success of our boys’ tonight. I can’t wait to get back into my seat tomorrow and see how much of the energy is still trapped in this building…………….9 am is coming fast to me tonight. The deeper this Tampa Bay Rays season goes,the more the “Tall Texan” seems to grow on you. When you see how easy it is to call out Rays starter Jeff Niemann and he causally just comes over and chats with you while he continues signing a multitude of autographs for what seems like forever, and he still has that smile on his face the entire time. And you see a small level of discomfort and bummed out look when he has to turn and head into the clubhouse with people still calling his name. He is one of those reason the Rays are within striking range of the New York Yankees right now to again try and regain their spot at the top of the American League East division. And here is a guy who at the very end of Spring Training had to fight tooth and nail for a final spot on the roster that in prior years he might have had by mid-March. But since the 2008 success, a lot has changed in Rays-ville, and the “gentle Giant” is one of the great stories of this season. I mean he truly did not know until almost the last possible day that he would regain the fifth rotation spot until his competition got traded away to the Colorado Rockies. But all during that time there was chatter and rumors that he too was under the trading microscope maybe heading to San Diego, Colorado, or maybe Pittsburgh. The competition for that final spot was so intense this season that even a guy who might have made the rotation on 20 other teams might of had to find alternative solutions to stay in the major leagues. And how great do you feel right now if you are in the triad of Rays Manager Joe Maddon, Pitching Coach Jim Hickey and Vice President of Baseball Operations Andrew Friedman right now that you kept the Tall Texan. Sure you might have labored over the decision and might even have second guessed yourself after the first start or two, but quickly you also saw a small glimmer of hope and beauty in the way Neimann was taking the ball every fifth day and making magic happen on the mound. I mean take the fact he had a 2-1 record with a 6.32 ERA in Spring Training this season and it might look like a feasible reason to consider him for the last spot in the rotation. But if you really look close at his statistics, he was in a five-way tie on the team in wins, his 6.32 ERA in the spring was better than the Rays Opening Day starter, Jame Shields who had a 8.16 ERA. Unlike Jason Hammel, Neimann did not start a single game this Spring, but did get into 6 contests and still made enough impression to get two wins. But his 15.2 innings of work was the fifth best on the team, and his 17 total his given up this spring were better than Matt Garza (26), Shields (19), Scott Kazmir (22) and Hammel (25). From the edge of Spring Training, he knew he had everything to prove, plus everything to lose in the coming months for the Rays. He had to have his stats put next to Hammel and David Price for comparison, and in the end might have gotten the job by proxy to the shagrin of some in the franchise office. But I do not see it that way at all. Neimann had struggled in the past with injuries, and in 2008 he had his best season as a professional because his health did not let him down at all that year. So this season was going to be a test of not only his health, but his pitching ability. But the best part was this was not his first time up in the major leagues thanks to a short stint after Garza went down right after Opening Day in 2008, Neimann got some needed experience and struggled and also showed some great improvement to stay on the minds of the team the entire year. So it was no surprise that he was one of the possible pitchers brought up by the team after the Durham Bulls were eliminated from the IL Playoff picture in 2008. The man a few people have commented on could be the twin brother of Toys R Us icon Geoffrey (Giraffe) was to get more of a chance to show his stuff in 2009. And his first start this season at Baltimore showed that he still had a ways to go to be an effective pitcher, or did he just go into the game maybe a little over prepared and actually took himself out of that game by trying to think of adjustments on the fly without a good thought process in his mind. After his first start he had a balloon ERA of 10.13. He had only lasted 5.1 innings and had thrown 94 pitches in that game. The one shining light out of that performance was the he settled down after that disastrous first inning and blanked the Orioles until he left the ballgame. But from that start he gained a lot of experience, and gained even more of an insight of what it was going to take to be a great pitcher in this league. So at the end of the month of April he had gone 2-2 with a 4.43 ERA. He had rebounded from a two-some of tough games against the Orioles and the White Sox to put together two great wins against the Twins and Mariners. In both wins in April he threw 3-hitters, and also saw his command starting to come together. So with a even keel from April, it was imperative that he have a good month in May so solidify the Rays decision on him. In May, he went a combined 2-2 again in six starts and showed improvement by starting to see his walks-to strikeouts ratio get more into control. He had a few blips of problems during a May 2nd contest against the Boston Red Sox at home, where he lasted only 3 innings and surrendered 6 runs on 7 hits. He only lasted 76 pitches into that contest, but his pitches for strikes was starting to show a closer trend towards an acceptable level. In that start he threw 46 strikes to his total 76 pitches. Neimann was beginning to understand how to win in the majors. And during the rest of May, he surrendered less than 2 runs in every game but one. In that contest on May 18th against the Oakland A’s, Neimann did give up 4 runs in the contest, but he also got some great offensive support from the Rays and posted his 4th victory of the season. He threw 110 pitches in that game, the most of the season for him. But the end of the month was not kind to him as he was limited to 3 innings in a rain delayed game in Cleveland that he had thrown 3 innings and had only given up a single run before the tarps hit the field. He had only thrown 53 pitches in that game, but 34 had gone for strikes. He was beginning to show his improvement every time out from that point on in 2009.
victories. His 3.10 ERA for the month was the best he had posted as a professional, and he also had thrown 29 total innings in the month, the most since he had come up with the Rays. On June 3rd, Niemann tossed his first complete game shutout of his career during a home contest against the Kansas City Royals. In that game he also seemed to have great command as he struck out 9 batters and only surrenders a solo walk in the game. But in the next contest against the Los Angeles Angels he did have a bit of a setback only lasting 3.2 innings while giving up 5 runs on 7 hits that night. June seemed more like a roller coaster ride for Niemann as he went to highs and lows before finally equaling out during a June 29th contest against the Toronto Blue Rays in Rogers Centre. In that game he went 7.1 innings and threw 100 pitches while giving up a solo run on 4 hits. This was also the only time besides the first game against the Orioles that he had issued more walks than strikeouts. But it did not matter in the end as he took his seventh win of the season from this game. So at this point he was 7-4 and people were beginning to talk about the young Texan. If June seemed like his month to shine, oh were people going to enjoy his July. So far this month he has only made three starts, but he has posted two wins in those starts to have the most wins so far as a Rays starter in 2009. July got started off a bit rough when he only lasted 3 innings in a game out in Arlington, Texas against the Texas Rangers. It should have been a bit of a homecoming for him, but the Rangers roughed him up early and he only lasted 47 pitches and gave up three runs in the game. It was not a pure disaster, but it did show him some room for improvement, and to get more first pitch strikes on the batters. But after that contest, in his last start before the All Star Break, Neimann threw one of the best games of his career to that point against the Oakland A’s at home on July 10th. This was the second start of the season for him against the A’s, and in his last start he lasted 8 innings and gave up four runs to the A’s hitters. But tonight he went 9 innings to post his second complete game shutout of the season. He threw a season high 118 pitches and got a standing ovation from the crowd as he went to the mound in the top of the ninth inning. After that contest, while being interviewed on FSN/Florida, Niemann got the traditional shaving cream pie from Rays catcher Dioner Navarro. But that was not the cream on top of the pie yet for Neimann in July. After not starting since that July 10th game until last night, he was on 10 days rest when he took the mound in Chicago last night for his first start of the season against the White Sox. Neimann had saved his best for last ( so far) this season. Last night against the White Sox he posted 7 strikeouts and issued zero walks. This was the third time this season he had not issued a walk in a game, and the second time in the last three starts. He was beginning to exert control on his game on the mound, and he lasted 8 innings last night before he was finally pulled before coming out in the top of the ninth after throwing exactly 100 pitches. The Tall Texan made his presence known, and for the month has a 2-0 record with a 2.25 ERA and 14 strikeouts in 3 starts. So this brings about some scuttlebutt and chatter now that David Price might not be the guy to watch for the Rookie of the Year award right now with the Rays. That Neimann might have stolen a bit of the preseason thunder directed at Price. And what is wrong with that? How many other teams outside of Toronto have had two rookies basically come forward and contribute so much for their teams. Neimann is currently holding a 3.44 ERA, which is pretty amazing considering after the first start it was a bulging 10.13 ERA. And a pleasant surprise for the Rays is the fact he is now 6-2 away from Tropicana Field with a 3.84 ERA. In the month of June and July he is 5-0 after posting a 4-4 record in the first two months of the season. He has started 17 games for the Rays this season and has seen victories in 9 of those starts. For a rookie, that is impressive to me. Going into last night game he was tied with Detroit Tiger starter Rick Porcello for the most wins by a rookie pitcher this season in the AL. And not lost is the fact that his next victory will tie Rolando Arrojo for the Rays rookie mark for wins with 10. And is it an odd connection that the night before they honor the 1998 team with their technicolor jerseys on “Throwback Night”, Neimann threw his complete game shutout. I actually find that pleasantly exciting. The kid has been mired in doubt and intrigue the last few season as to his durability to play at this level, and this season he might eclipse the rookie record for victories in a season, and move it well beyond the present 10 win mark. He has now won 5 straight decisions and has lost only one decision since the first week of May (@ Cleveland/ May 28th). And even if he not on the mound to get a decision for the wins, the Rays have won 11 out of last 12 of his starts, and are 13-4 in all his starts this season. And to put an exclamation point on his season since May 13th, he has a 6-1 record with a 2.51 ERA and has not allowed a home run since May 23rd when he gave one up to Dan Uggla in Landshark Stadium. The above statistics can only help to establish Neimann right now as the team’s candidate for the Rookie of the Year award. Some might still feel it is Price’s award to lose, but Neimann right now is putting up all the right numbers to be within eyesight of the award. But considering he is only the 7th Rays pitcher ever to throw at least two complete game shutouts. Arrojo threw two in his rookie season in 1998. No other pitcher in Rays history has thrown three complete game shutouts in his career. But that record, like Arrojo’s rookie win mark might be tested this season by Neimann. And considering the impressive crowd he is now being mentioned with as the only holders of complete game shutouts this season, it reads like a “Who’s Who” in the MLB. The Royals Zack Greinke, San Francisco’s Tim Lincecum, Cardinal Joel Pinero and Red Sox Josh Beckett are the only other guys to throw 2 so far in 2009. You want some more impressive stats? Hmmmm, he is also the fourth rookie this decade to throw two complete game shutouts joining Dontrelle Willis (2003), Jeremy Sowers (2006) and Hiroki Kuroda ( 2008). And he is only the second rookie to throw both of his before the All Star break, the other was former Rays Arrojo in 1998.
and feeling more at ease on the mound. The winner in all of this are the Rays and the fans. In a spot in the rotation that people fretted and wondered about from the first game, Neimann had shown he is a solid member of the Rays rotation, and could be for a long time. Some people point to 2008, when Edwin Jackson also was the fifth starter and posted 14 wins in the season. So far Neimann is ahead of Jackson’s 2008 pace, and could be the new Rays total victories in a season leader by October. But the season still has over 60 games to play, and anything can happen from now on. But one thing is for sure, the Rays are a better team with Neimann on it. Where early in the season people spoke aloud of the outlandish decision to keep him, now those same people are clapping and praising him for his wins and performance. Hey, the guy might just be the Rays second Rookie of the Year winner, and keep the tradition alive for one more season in Tampa Bay. But I am going on record as saying when they ask me to put my stamp on any rookie who I think deserves the award, the first statistics I will look at in comparison is to Neimann’s numbers. And so far, no one is holding a candle to the Tall Texan. The more I see Rays reliever J P Howell pitching and finding success in the late innings, the more I am reminded of another young Rays closer that once threw just like Howell without blinding speed to the plate, but used his pitch selection and deception in pitch speed to make his pitches dance around the plate. And maybe Rays Manager Joe Maddon has taken a page out of the Rays not so distant past and is using past reasonings to again thinking of applying an off-speed pitcher into the closer role. It has worked before, and with great results. If you have been a Rays fan for some time you might remember Rays reliever Lance Carter and his off-speed arsenal that propelled him to his only All-Star appearance in 2003 when he had 15 saves at the All-Star Break. He did not get to play in that All-Star game at US Cellular Field in the south side of Chicago, but you can bet that experience changed him. 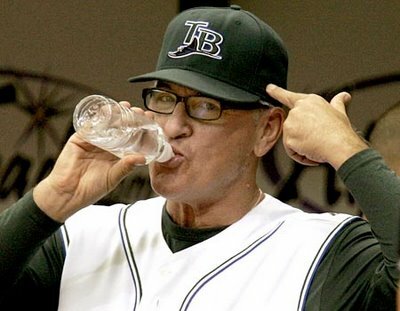 Maybe Maddon in all his cerebral wisdom is again coming to the understanding that control and not a 95+ fastball might be the answer right now for the Rays. It is not like the Rays have a reliever right now thrusting himself to the forefront to take the 9th inning reins and lead the club to wins. When Carter was the Rays closer in 2003, he went 7-5, with a 4.33 ERA. The ERA is kind of high, but the results spoke for themselves. He was involved in 51.6 percent of the Rays wins (62) that season. Even more incredible is his year end total of 25 saves in his rookie season put him in the top 5 rookie performances of all time at that moment. He made over 61 appearances in 2003, which is incredible in its own right. He converted 25 out of 32 save opportunities for the Rays that year. All by a pitcher who used his off-speed stuff to accent his high 80’s fastball. Carter’s 25 saves shattered the Rays rookie save mark of 5 that was held by Travis Phelps set in 2001. At the time he represented the Rays in the All-Star game, he was the oldest rookies at 28 years, 6 months and 29 days to be selected to play in the classic. Carter ended up back setting up closer Danys Baez in 2004 when the Rays signed the former Cleveland Indians closer. Carter did spend another two years with the club until he was dealt along with Danys Baez to the Los Angeles Dodgers for a young pitcher Edwin Jackson and Chuck Tiffany on January 14, 2006. In comparison, J P Howell’s climb to the Bullpen came out more of a change of direction for the young pitcher after some trouble starting games for the Rays in 2006 and 2007 hen he made 18 starts for the Rays and went a combined 2-9, but did show promise in getting 82 strikeouts in 93.1 innings of work. So when the Rays came to Spring Training in 2008, his main concern was to learn th fine art of successful relieving to try and save his career. His ERA in 2007 was a high 7.59, but who would have ever thought that the young pitcher would take to relieving with such zeal and success. In 2008, he appeared in 64 games and finished the year with a 6-1 record and a 2.22 ERA. He also almost threw more innings (89.1) in one season as a reliever than he had in the last two ( 93.1) for the Rays. He also began to set a consistent mark of striking out opponents with his fastball that sinks and tails and sometimes even cuts away from hitters. His fastball, just like Carter’s comes in a lot slower (84-88 mph) than his body makes it look coming out of his left hand. Combine that with a change-up he often overthrows that is only about 5 mph slower than his fastball, but it dives quickly as it approaches the plate. And his curve ball, also like Carter’s can be the perfect out pitch because if its great last minute break. All three of his fundamental pitches tend to stay below the 90 mph range, and usually sit within the low to mid 80’s at any time. Combine that with a hard breaking and reliable 12-6 breaking curveball and both pitchers tend to look like photo negatives of each other on the mound. It is classic deception pitching at its best. And who knows maybe Maddon has also asked Howell to view some of Carter’s old game videos to get some confidence and show the young reliever he too can have success with moderate stuff on the mound. Howell has his age as the best advantage here on Carter because he is still the youngest member of the Bullpen and is still learning the art of late inning heroics. But both men have a calm and cool exterior that tends to deflect attention and brings a calming effect on team mate when they throw, which lends itself to great success in the late innings. But most people remember Howell as the eventual loser in the World Series Game 5 who was actually sick as a dog on the mound, but wanted the ball. And there is that second characteristic that tends to bond both of them as mirror image relievers. With the game on the line, both pitchers want the ball to give their team a chance at a win, and secure the victory. That kind of confidence or cockiness can not be taught, or even duplicated. Either you have that inside you or you do not…period. Howell might have had a 2008 that defies most logical answers. At the time he was the only Rays reliever on the staff under 30 years old. But he quickly did not let his young age keep him off the mound for the Rays. He only got 3 saves in 2008, but in his last save of the year, he went 2.1 innings to preserve the win for the Rays. His 89.1 innings lead all MLB relievers, and his 92 strikeouts was also a MLB high for relievers in 2008. Even as he was learning the craft of relieving, he lead all MLB reliever also in only letting 11.8 percent of his inherited runners to score in the game. And he only turned it on more for September as he owned a 0.00 ERA for the month spanning 15 innings. Howell also broke the Rays club record with his 89.1 innings previously held by Doug Creek ( 62.2 innings). Both left-handers (.188) and right-handers (.197) hit under .200 against him in 2008. Howell was developing into a severe late inning weapon for the Rays as they headed to the 2008 playoffs. t season and during the playoffs has made him better equipped for the 2009 season. Howell has become more secure and ready to take on all comers for the Rays. Sure the ex-starter might just be in his second year in the Bullpen, but Carter also found his success in his second stint in the Rays Bullpen. Maddon might be drawing great comparisons to the two relievers and giving Howell the opportunity to show he can handle the ninth inning stress and responsibilities. So far this season Howell has been up to the test. Howell entered the 2008 season with only two prior relief appearances at Rookie-level ball at Idaho Falls in 2004. But he is turning into a polished gem for the Rays this season, posting in even better numbers than in his remarkable 2008 season. This year Howell has appeared in 35 games, which ties him for the American League lead. He currently has a 2-2 record with 4 saves. He has thrown for 34.2 innings and has 42 strikeouts so far. His last 13 appearances have been scoreless, and he is second in the AL in strikeouts. But the biggest confidence to his year might be the time he spent in the Team USA Bullpen during the World Baseball Classic this spring. In the WBC, he appeared 3 times for Team USA and held opponents scoreless. He did not figure into the last innings for any of those appearances, but got great advice and training playing along side some of the best closers in the game. One downside to Howell is his five blown saves so far in 2009. But that is some of the learning curve that he will have to endure if he wants to make the transition into the late inning guy for the Rays. But just like Carter, Howell is still throwing his style of game and not adjusting or tinkering with his pitches so far this year. His 4 saves already this year is only second only to Troy Percival. Maybe this “blast from the past” is exactly what the Rays need right now to again gain their 2008 edge. Reverting to a time where the closer threw slower and with control compared to the starting pitchers might be a godsend to Howell in his quest to gain the spot. But you know he has a great believer in his corner in his manager. Maddon is probably one of the biggest Howell supporters, an it just might get him another honor in the next few weeks. Even if Howell is not determined to be the answer as a Rays closer, the job he has done in the past ans so far this season puts him in a small group of relievers in Rays history. In the end, the guy who could have his pitches timed by a hourglass might be the best solution to the Rays closing problem this season. And who knows, maybe he just might evolve into the perfect guy for the job with his “on-the-job” training this season. If you missed the Tampa Bay Rays game on Friday night, you missed an instant Rays classic contest. There was that feeling in the stadium again of the 2008 struggle to get that winless feeling out of the air of the old dome, and become the team to beat in the A L East. But far and away, the biggest emotion flowing through Tropicana Field on that night was a renewal of hope. It has been awhile since the majority of the Rays Republic showed that type of emotion out in the open for the players and other to grab a hold of and use as positive energy.The Rays were 0-224 when trailing by 7 or more runs prior to tonight’s offensive explosion. On Friday night it was up in the air for everyone to grab and sample their own little piece of the magic that was transpiring on the turf. You could just see it in the eyes of the guys in the Bullpen, and you could just sense it in the air that change was about to happen. But what transpired can not be written about in books, or even sometimes contained in photos, the emotional charge that sweeps throughout the dome that is sent like a wave through each and every one of us to provide that instant glimmer of hope and wanting for this struggling team. Not in the Rays brief history have we seen a offensive re-arming and dismantling of another team after they have achieved such a lead. But as we all remember in 2008, you never counted those Rays out until the last out was in stone. And for so many reasons tonight’s final victory felt exactly like that. And to make it even more remarkable was the fact the player who has been the subject of numerous articles and debates about his hitting skills and spot in the lineup came shining through and burst that personal bubble to provide the unscripted climax to the event. B J Upton was the man, but the team all have their own personal pieces of triumph in this remarkable win for their consistent belief both in themselves and their teammates. And that is a character element that was so clear in 2008. Each player was responsible for their own actions, but no one all season long took potshots or even made reference to someone else not doing their part. They won as a team, and unfortunately lost as a team too. The word “chemistry” might be the biggest mis-used words in sports, but this team did have to melt and blend a bevy of different personalities and abilities to even make a competitive unit, much less a championship squad. And tell me you did not yearn for another one of those special home plate celebrations that became almost a nightly staple in 2008. When was the last time you saw a “team meeting” at home plate……………last season. And also when was the last time you saw a Rays player even show any type of strut or “peacocking” as he strolled into home for his teammates ……Also only during last season. People in 2008 were quick to judge the team’s defining moments or turning points to the season. Well, if they have to again resort to finding moments of change and upward mobility, they have their first example in the way the entire team carried themselves tonight. Every one picked themselves off the turf, dusted themselves off and got back to work nibbling and craving at that Cleveland lead. That was the way the 2008 squad attacked, as a team. They would put together scoring drives and fast attacks to stun and demoralize the competition at times. And the Rays Bullpen again is beginning to hit their own sense of stride again in 2009, which has been missed in recent games. But you have to admit that the Walk-off homer by Upton was the perfect ending to a wild night. Here we had a guy struggling to get back to his former form and was finally starting to see some great results, then this game comes along and reminds us why we liked the guy in the first place. You have to admit to yourself that the kid has been as hard on himself as we have been on him. He is his own worst critic, and his struggles at the plate have made us grimace at times wanting to help him out in any way possible to get back to his old form. Maybe that sight of the team trying to pick themselves off the turf for the second night in a row when they got down fast also got into B J’s psyche and boosted him through that wall he had in front of him. Thursday’s contest did not come out the same, but the fact that the Rays seemed to be working as a team boosted the thoughts that we were beginning to emerge out of that funk and again take it to some teams again. It is not like he has never belonged here, or was struggling both on and off the field. On the field he was his usual self, diving for balls and tracking them down with his deer-like speed deep into the gap, and near the wall. His throws have been darts, and his confidence in his throws have been key in his recent surge back into the outfield assist ranks in 2009. Even if Friday night was not the final turning point for Upton, it was for this team. They again could see the golden ring, and they grabbed it with everything they had in their bodies. It was a welcome sight to see the smiles and the confident swagger as they walked back to the dugout after this win. The fact that these guys love to be around each other is a testament to the team unity and chemistry that VP of Baseball Operations Andrew Friedman and Rays Manager Joe Maddon has assembled here. The glue that holds this group together is simple respect for each and every member on the roster. But tonight belonged to a guy who at 17 years of age got his first taste of the big leagues in a September call up. Back then, that Rays team was not experiencing even the slight hint of a winning edge, and some of the veteran leadership was already looking for the door out of the Rays clubhouse. That is a sad comment, but a truthful one in the realm of the Rays in the past. You want to think that the winning foundation was set early in this franchises history, but in reality, they did not believe in th system totally until 2007. The last few seasons has seen a resurgence in Rays thinking about positives and accountability amongst themselves. It was imply a case of “do your job, do it right, and great things will happen in the end.” So can we take Friday night’s walk-off as a sign that the 2008 energy and commitment might be resurfacing in the Trop.? I know I felt it. The energy level and the positive vibes from inning to inning only seemed right to end on Upton’s first blast of the season. r Navarro hit the grand slam to boost the Rays to a victory and finally feeling like they belong on top. No, this celebration seemed different on the turf tonight. It had all the elements of 2008 except one. One huge difference is missing from the “team meetings” called at home plate by the Rays in 2008. This year, we are the “hunted” and not the one pursuing the top spot. But an night like this can re-shape and remove the rust and tarnish of the last month just by its sheer power. Biggest comeback in Rays history really pales a bit in comparison to a young hitter regaining his edge at the plate, and remembering why he loves to play this game. After the conclusion of last night’s game I was sitting near my seat waiting for the anticipated in-game interview of B J Upton when Dioner Navarro came streaking out of the Rays dugout with a towel filled to the brim in deep shaving cream. I have to admit I have never seen the Rays catcher act so stealth and swift as when he deposited that wet, white concoction on B J’s face during his television and radio interview. It is a a great tradition of baseball to see that done to him on the night that might spark of return of our centerfielder’s bat to his game. But the shock and awe of the crowd when he finally got that towel in the face was priceless. We all knew it was coming, but did not who or when it was going to be delivered. Upton took the event with class and professionalism, but I would have loved to see the scene in the locker room after Upton got back there. Hopefully Navarro was long gone by then, or there might be a shaving cream situation in the clubhouse. That is also one of the areas that Upton has matured tremendously in the last two years. He is a soft spoken guy who kind of doesn’t take to the media side as well as some members of the team. But in the last year he has become more secure and comfortable in front of the camera, and it shows. That will bode well for him to become a likable guy to people who might not get down here and see him on the bench motioning and chatting with guys on base or in the field. He is truly one of those guys who loves this game and looks forward to it every night.